The time for the annual CFDA (Council of Fashion Designers of America) awards has come. The sun beaming down the red (or shall i say purple) carpet made this event look much more glamourous. Here are the nominies and winners of the evening. 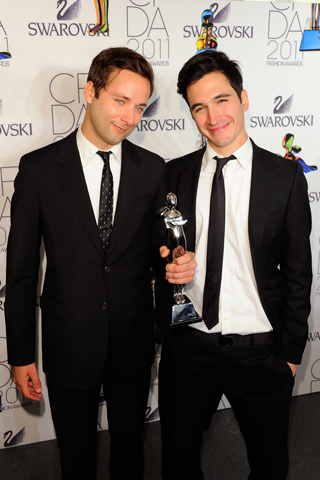 Proenza Schouler's Jack McCollough and Lazaro Hernandez.